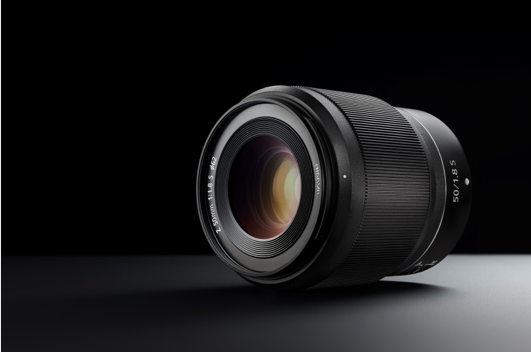 The three new lenses are the standard zoom Nikkor Z 24-70mm f/4 S, the wide-angle prime Nikkor Z 35mm f/1.8 S, and the standard prime Nikkor Z 50mm f/1.8 S.
The Nikkor Z 24-70mm f/4 S, Nikkor Z 35mm f/1.8 S, and Nikkor Z 50mm f/1.8 S are S-Line interchangeable lenses. All three lenses feature a Nano Crystal Coat to suppress ghost and flare, and are sealed to ensure drip- and dust-resistance. The Nikkor Z 24-70mm f/4 S has a standard focal length range from wide-angle 24mm to medium-telephoto 70mm. The Nikkor Z 35mm f/1.8 S lens has rendering performance that overturns the perception of what a 35mm f/1.8 lens can do, according to Nikon. The adoption of a new multi-focusing system achieves quiet, fast, and accurate AF control, as well as high image-forming performance at any focus distance. The Nikkor Z 50mm f/1.8 S lens features a new, powerful stepping motor (STM) enables quiet and accurate AF control with both still-image and movie recording. Thorough suppression of axial chromatic aberration ensures superior resolution with faithful reproduction of the fine textures in subjects from maximum aperture, according to Nikon. For more information, visit http://www.nikon.com.au/en_AU.